The trial represents a fresh start for prosecutors, who were forced to abandon most of their charges after a serious defeat last year. For the opposition — a network of activists and organizations loosely grouped as the Defend J20 Resistance movement — the new trial represents a chance to kill the government's case. WASHINGTON (AP) — When police arrested more than 200 anti-Trump protesters on Inauguration Day 2017, it touched off a long-term battle of wits and wills. On one side: a Justice Department that has sought to incarcerate scores of people over a violent protest that smashed downtown storefront windows and set a limousine ablaze. On the other side: an intensely coordinated grassroots political opposition network that has made Washington the focus of a nationwide support campaign, offering free lodging for defendants, legal coordination and other support. The stand-off entered a home stretch last week when a trial began for four people, the first in a series of group trials for 58 defendants that should last the rest of the year. Charges include property destruction and conspiracy to engage in a riot. The trial represents a fresh start for prosecutors, who were forced to abandon most of their charges after a serious defeat last year. For the opposition — a network of activists and organizations loosely grouped as the Defend J20 Resistance movement — the new trial represents a chance to kill the government’s case. 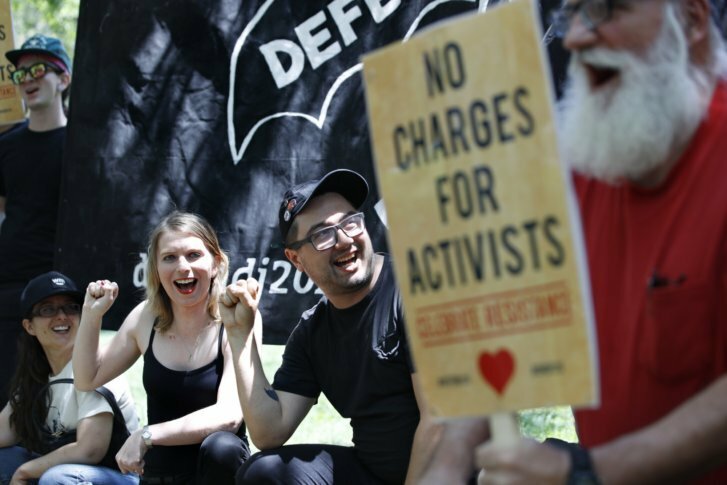 Defendants and their supporters have framed the case as an indiscriminate police round-up followed by a concerted Justice Department effort to criminalize legitimate dissent. Assistant U.S. Attorney Jennifer Kerkhoff sought to neutralize that point in her opening statement. This nationwide opposition network has been a visible presence since the trial of the first six defendants began in the fall. Tapping into fundraising efforts around the country, defendants were reimbursed for their housing in Washington. Activists packed the courtroom, some serving as media liaisons, while others prepared meals for the defendants and their supporters. Movement members refer to themselves as “the resistance,” a term that predates President Donald Trump’s election by decades. Sam Menefee-Libey, a local organizer and member of an activist collective called the DC Legal Posse, says Defend J20 is the inheritor of the anti-capitalist and anti-globalization movement that coalesced in Europe and first made headlines in America during massive protests against the World Trade Organization in Seattle in 1999 and later in the Occupy movement. J20 stands for Jan. 20, Inauguration Day. The movement focuses far more on street-level action than on winning elections. Under Trump it has begun to unify and cross-pollinate with other movements like Black Lives Matter and immigration advocates. In supporting the inauguration protesters, social media campaigns have encouraged callers to flood the U.S. Attorney’s Office and the Justice Department. Activists recently held a small rally headlined by Chelsea Manning to urge the government to drop all charges. While defendants have secured their own lawyers, the Defend J20 movement helped organize a unified trial strategy. This included persuading defendants — sometimes over the objections of their lawyers — not to accept plea bargains. They claim their unified strategy has already paid off. The trial of the first set of the original 160 defendants was supposed to start in early 2018. But when an unexpected hole in the court schedule opened in November, a group of defendants, including Macchio, volunteered to go on trial first. The defendants and movement organizers presumed that prosecutors had set up the schedule in order to begin with other defendants — those who could be more easily linked to the violence. Prosecutors admitted from the start that they had no evidence proving these specific defendants had committed violence or vandalism. Most protesters had dressed in black and covered their faces. Prosecutors could only claim that the entire group was guilty of supporting and providing cover for the vandals. All six were acquitted and the government eventually dropped charges against 129 other defendants. It’s not clear whether the scheduling switch hurt the government’s case. The U.S. Attorney’s Office declined a request to interview prosecutors or senior officials about the issue. However, movement leaders believe their maneuver wrong-footed the prosecution. Prosecutor Kerkhoff, in the current trial, pledged to convince jurors through a mountain of photographic and video evidence that the masked vandals on screen were among the four suit-clad defendants in the room.